ARRIS completed its previously-announced acquisition of the Ruckus Wireless and ICX Switch business from Broadcom. When the deal was first announced in February 2017 the announced price was $800 million in cash, plus the additional cost of unvested employee stock awards, following the closing of Broadcom's acquisition of Brocade. Ruckus Networks will operate as a dedicated business under Enterprise Networks. Its target vertical markets span hospitality, education, government, service providers, multi-dwelling / tenant units, sports / entertainment venues, and transportation centers. ARRIS said another opportunity for Ruckus is the small-cell CBRS LTE market. Dan Rabinovitsj—previously COO of Ruckus Wireless—will lead a new ARRIS Enterprise Networks business segment. The business will focus on the delivery of innovative, high-performance wireless and wired network infrastructure, with a robust channel-led sales strategy. "This combination underscores our shared vision of achieving market leadership across wireless and wired networks in close partnership with our valued customers and channel partners," said Dan Rabinovitsj, President of ARRIS Enterprise Networks. "We're very excited about the collaboration opportunities across our product portfolios to enable connectivity from the office to the home and to all the places in between. 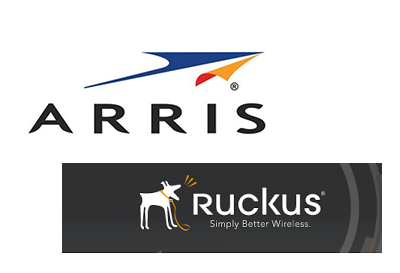 Joining ARRIS means we still do what Ruckus does best, but on a larger, global scale. I'm excited to lead the Ruckus Networks team into our next stage of growth and innovation." "I'm proud to welcome the 1,700 talented Ruckus Wireless and ICX Switch Business employees into the ARRIS family," said Bruce McClelland, ARRIS CEO. "It's an important milestone, not only for ARRIS but for our industries. Ruckus' unmatched expertise in wireless and wired networking perfectly complements our growth strategy of driving towards a constantly connected, mobile future. The acquisition brings diversification to our portfolio, building on our strength in networking and helping us to serve new verticals. Ultimately, our combined portfolios and scale will help our customers and partners deliver a smart, simple connected world for billions of people." ARRIS agreed to acquire Brocade Communication Systems' Ruckus Wireless and ICX Switch business for $800 million in cash, plus the additional cost of unvested employee stock awards, following the closing of Broadcom's acquisition of Brocade. ARRIS expects the acquisition to be accretive to its Non-GAAP earnings per share in the first 12 months. 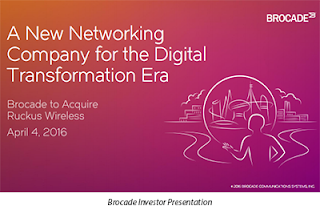 The deal is contingent on Broadcom closing its acquisition of Brocade, previously announced on November 2, 2016 and approved by Brocade shareholders on January 26, 2017. Broadcom presently expects to close the Brocade acquisition in its third fiscal quarter ending July 30, 2017. NTT DOCOMO has granted a patent license to Samsung Electronics Co. covering DOCOMO's standard-essential patents. Samsung will pay an undisclosed licensing fee to DOCOMO. DOCOMO confirmed that it has now granted standard-essential patent licenses to more than 30 companies. The company said its R&D and patent licensing covers mobile-network and service technologies for systems based on the W-CDMA, LTE, LTE-Advanced and to-be-standardized 5G standards. MEF 3.0 is essentially an umbrella term encompassing all the organisation’s previous and promoting its long-term vision of the “The Third Network” -- the first network being the Internet, the second network being business-class Carrier Ethernet services. The goal is to enable the dynamic applications of the digital economy to run seamlessly over multivendor, multicarrier networks. MEF brings its existing body of work with Carrier Ethernet and its latest work in LSO (Lifecycle Service Orchestration) APIs to enable on-demand, cloud-centric experience. Think of it as SDN+NFV operating in multicarrier domains according to a common set of specifications. Certainly, the acronyms are a mouthful. Over the years, there have been doubters as well as to whether the work of the MEF was essential for the advancement of networking technology, or whether it was just another industry forum backed by a handful of industry players. With this latest MEF 3.0 iteration, the sweet spot of software-defined wide-area services is in sight – the automated, orchestration of services across multi-provider networks. Just last month, MEF announced a collaboration with The Linux Foundation’s Open Network Automation Platform (ONAP). Open Network Automation Platform (ONAP), a Linux Foundation to jointly facilitate development of an LSO Framework and the creation of standardized open LSO APIs. This too aims to automate the “entire lifecycle” for services orchestrated across multiple provider networks and multiple network technology domains. The accolades from MEF members are pouring in. 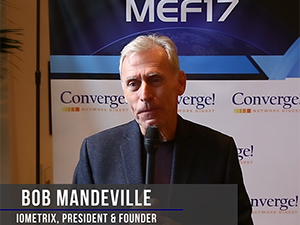 In a keynote address at the MEF17 event in Orlando, Kevin O’Toole, Senior Vice President of Product Management, Comcast Business, described MEF 3.0 as a “pivotal moment for carriers - a generational leap”. He predicts that this common orchestration framework will reach maturity right at the time when big bandwidth pipes are reaching deep into the last mile. Comcast sees “transactional gigabit” connections being ubiquitous – meaning not only lots of bandwidth but smart bandwidth with the ability to transact with third-party networking services. He foresees rapid price compression matched with powerful new services. A big carrier like Comcast, which soon will have DOCSIS 3.1 running in all its major U.S. market, certainly has sway to influence the market. If they like MEF 3.0, that’s certainly a good omen. Shawn Hakl, Senior Vice President Business Products, Verizon, said MEF 3.0 “covers the critical areas needed for the next generation of innovation in SDN/NFV based services,” and expressed confidence that this standardization of the orchestration of software-based services will help it launch new services with the visibility and control demanded by developers. The same type of positive feedback was also heard from CenturyLink, Windstream, GBI and Telecom Italia Sparkle. MEF has already standardized the orchestration of static Carrier Ethernet 2.0 services. It is also ready to go with MEF 3.0 Carrier Ethernet services. However, we are still in the early stages for the orchestration of dynamic wavelength services. At MEF17, several proof-of-concept demos from optical transport equipment vendors and their service provider partners are on display. It’s good progress, but there is a significant distance between the proof-of-concept stage and mature carrier service. The same could be said for orchestrating dynamic IP services over the WAN – we’re not yet at the stage of standardized deployments. With SD-WAN services, the MEF has published common definitions, but again, it is everyone for themselves when it comes to orchestrating SD-WAN services with multicarrier interoperability. Eventually, MEF would like to add dynamic security services to its list of standardized capabilities. Bear in mind that the ambition of this MEF 3.0 is all encompassing – a global framework. However, the MEF as an organization has been driven by Tier One operators in the U.S., including AT&T, Comcast, Verizon, Charter, Windstream, Level 3, and CenturyLink. The notable international operators backing MEF include Colt, PCCW, PLDT, Orange, and Telecom Italia Sparkle. There are a handful of other carriers as members too, but this leaves out the majority of service providers, whose support is essential before we can say that MEF 3.0 has become the defacto global services framework. With Carrier Ethernet we can see a global adoption. MEF reckons there are about 150 companies – including 100 service providers – selling Carrier Ethernet 2.0 certified solutions. Together, these account for an estimated $80 billion in annual global sales of products and services. Now it’s time to see if the same traction can be found for MEF 3.0. The other missing ingredient in this recipe for transformational global services is the presence of the global public cloud providers. It is one thing to orchestrated services, but to achieve that end-to-end vision there are bound to be many connections originating or termination in the hyperscale data centres of Alibaba, AWS, Fabeook, Google, or Microsoft. They will have to join the party too. Will MEF 3.0 help to expand the community beyond the Tier 1 Service Providers who have been the biggest backers of MEF to date? 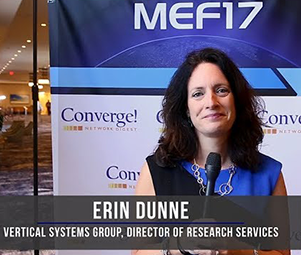 Erin Dunne, Director of Research Service, Vertical Systems Group, comments on how the provisioning of automated, agile services presumes a deep ecosystem and common standards. 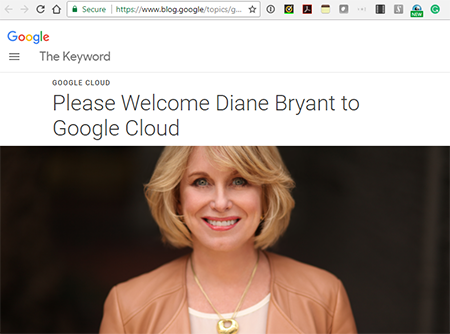 Bryant is known for her leadership Intel’s Data Center Group (DCG) as general manager and executive vice president. Intel's DCG generated $17 billion in revenue in 2016. She also serves on the board of United Technologies. 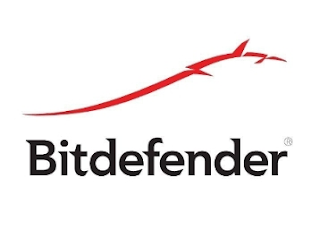 Vitruvian Partners, an independent European private equity firm, has acquired an approximate 30% minority stake in Bitdefender Holding B.V..
Bitdefender, which employs 1,300 staff across nine offices, said its software is protecting 500 million users in over 150 countries. More than 40% of sales are currently generated in the U.S. Bitdefender is based in Bucharest, Romania. NTT DOCOMO and Gemalto announced the world's first multi-profile SIM for use in multi-carrier collaborative services, allowing users to switch between profiles, which include data such as contact information and telephone numbers, on their smartphone or tablet in multiple countries. DOCOMO said the new SIM will help customers planning to stay overseas long term, such as expatriates and students, to access the DOCOMO network while in Japan, but also enjoy voice and data communications services provided directly by affiliated carriers in their respective service areas overseas, thus avoiding the need to insert the SIM card of a local carrier or carry a rental device. The multi-profile SIM draws on DOCOMO's experience in international communications services and Gemalto's telecommunications know-how. The commercial launch is expected sometime in fiscal 2018.